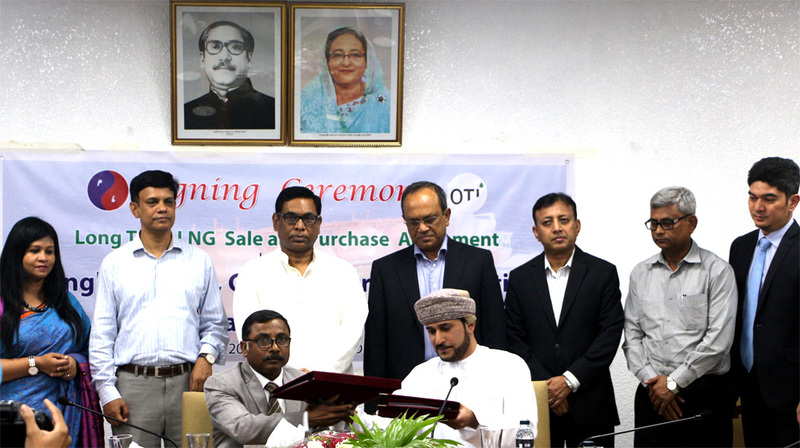 DHAKA, May 6, 2018 (BSS) - As per the government's move to ensure energy security in the country, the state owned Petrobangla today signed an agreement with Oman Trading International (OTI) for importing one million tonnes of Natural Liquefied Gas (LNG) from Oman. Secretary of Petrobangla Syed Ashfaquzzaman and Attorney of OTI, a state-owned organization of Oman signed the contract on behalf of their respective sides at Petrobangla Bhaban here. State Minister for Power Energy and Mineral Resources Nasrul Hamid witnessed the signing ceremony as the chief guest, while energy and mineral resources division secretary Nazimuddin Chowdhdury and Petrobangla chairman Abul Mansur M Faizullah were present. According to the deal, the government would import one million LNG from Oman at cost of US Dollar 9 per mmbt and the agreement would valid for 10 years on deliver ex ship method. 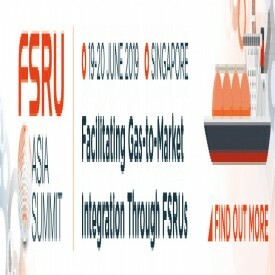 The LNG is expected to be brought by July this year. Besides, the government is importing a total of 500 mmcfd of LNG from Qatar to meet the country's growing demand. The LNG would be added into the national grid from this month. Earlier, the government signed a long term contract with Qatar's RasGas for 1.8 million tonnes of LNG per annum.